Features: Suitable for both left and right-hand antenna radios. 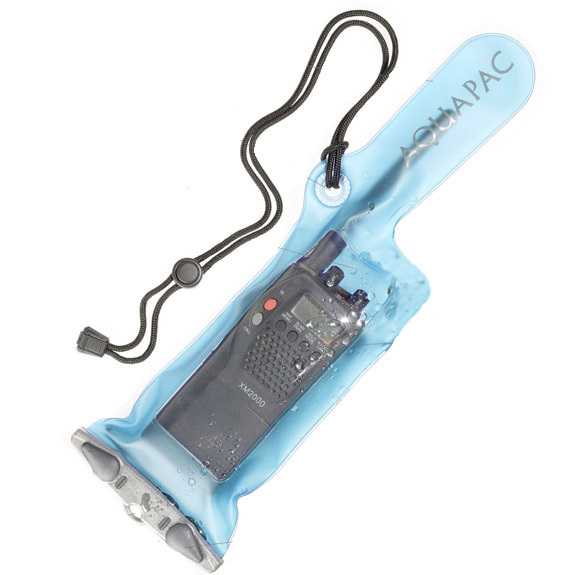 Guaranteed 100 percent waterproof to 15ft/5m (dust and sand-proof too!). Use your radio normally in the case as sound and signal pass right through the material. The airtight seal means your radio will float safely if you drop it in water. Supplied with A fully adjustable and detachable neck cord. A carabiner. Suitable for smaller modern handsets - suits both L- and R-hand antennas. Dimensions for the maximum size of equipment to fit in case: Length of Radio body: 7in/175mm; Length of Radio body including antenna: 13in/330mm; Circumference: 7.6in/195mm.